I finished the Whole30 last week, and folks, it changed my life! Cliche, I know. I've always struggled with my weight and with maintaining a healthy relationship with food. You can read my first post about Whole30 here. I did Weight Watchers right after college and lost the weight I put on in those 4 years. I loved WW, and I think it works great for some people, but it did not teach me to have a healthy relationship with food. Whole30 has been the only thing that really clicked in a "what the hell have I been doing to my body?" kind of way. Here's a little break down of my experience. I was an inflamed mess, and I didn't even know it. Let me clear, I do not have it all figured out. I am still a work in progress just doing the best I can. But then again, aren't we all? the transformation is amazing! I'm wondering how you feel dairy affected you? I have heard all kinds of things about how it affects certain people. I would be interested to see what affect it has when you add it back in. You look great! I've heard so many wonderful things about the Whole30. I might have to give it a try after the baby comes! WOW!! What a difference those 10 pounds made, you look great. That is awesome!! 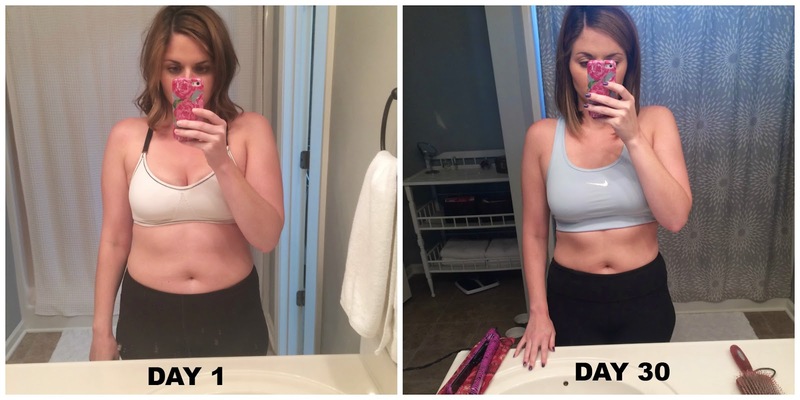 Thank you for sharing your amazing results! One of my friends in IG lost 20 pounds. It's great inspiration to try Whole30. Wow - this is amazing! Congratulations on your success - you look beautiful and I'm sure you feel that way as well! This may be a good challenge to try myself - get myself away from the chips!! You look incredible! Congratulations! I have about 100 lbs to lose so I'm not sure if this is for that or just toning up, but I'm going to check it out. Wow! I have about 10 pounds to loose and maybe I will have to try this! Wow!! That's awesome!! I've been thinking about doing this for so long but haven't just committed.